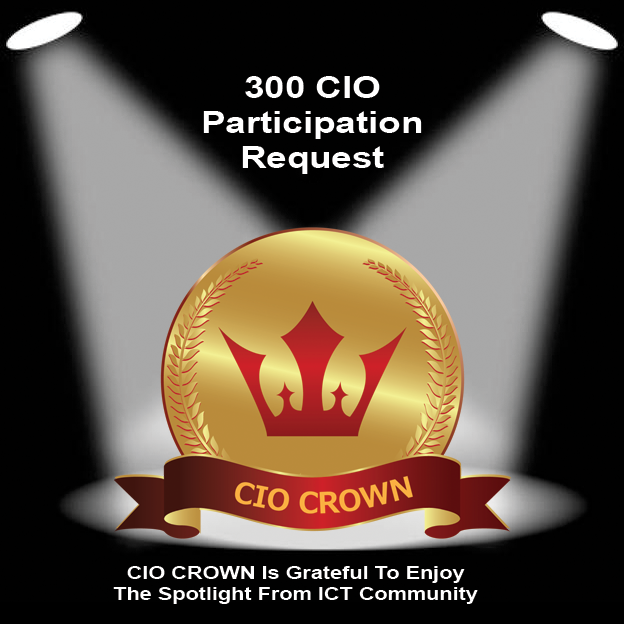 Introducing Asia-Pacific’s most premier and prestigious ‘CIO Crown’; hosted by CORE Media (Centre of Recognition and Excellence)- one of the leading global B2B recognition platforms headquartered in Singapore. We recently experienced overwhelming participation and response from CIOs (400+) and ICT Business leaders at CIO CHOICE 2018. CIO Crown 2018 will be hosted in Courtyard by Marriott Mumbai International Airport from 24th - 25th August, 2018. It is a uniquely conceptualized pioneering platform, meticulously crafted for 150+ CIOs & ICT Decision Makers to interact & engage in various business and ICT driven activities including engaging with peers, participating in interactive sessions and ICT tracks. Get ample opportunities to network with CIOs & ICT Business Community. It offers the greatest Industry connects! Over the years, CIO Crown has been regarded as the ultimate corporate CIO engagement of brains, trivia and the underappreciated ability to match the speed of thought to the pace at which buzzers are mashed. This coveted and must-participate engaging platform for CIOs and ICT vendors with global thinking hats is the platform where participants will keep coming back for more trivia and thrill.